Biltong is a cured and air-dried beef delicacy, originating from South Africa. It is a great ready to eat snack, high in protein, low in fat, gluten free and preservative free. The existing pack wasn’t resonating well with consumers and key product attributes were not being communicated effectively. 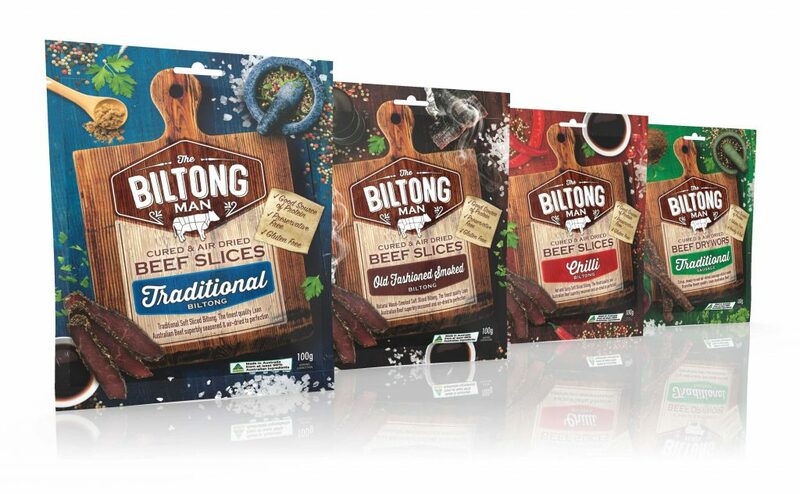 Tweak was tasked to redesign The Biltong Man range from the ground up and position it as a handcrafted & tasty product – the best tasting product on the market. Central to the design, the wooden chopping board sets the tone, signifying the authenticity and hand craftsmanship. The new branding is emblazoned into the board in a woodcut style inspired by the heritage of both the brand and product. Whole ingredients and seasoning communicate the flavour profiles, bring appetite appeal and give a snapshot of the marination process.